Video of Mirrorless vs. DSLR | Which Camera is Right for Me? 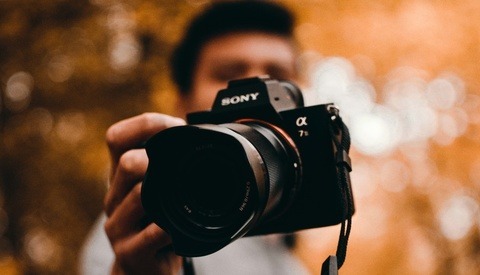 If you are looking to buy a new camera and not sure if you should go with a DSLR or mirrorless camera or possibly even making a switch away from DSLR to mirrorless, it's important to know what advantages each system has to better fit your needs. While mirrorless camera systems are much newer than DSLR systems, it doesn't necessarily mean they're the best choice for everyone. In this video, David Flores with B&H shares the differences between each system and highlights the advantages they have over each other to help assist you in making the correct decision for yourself and your needs. 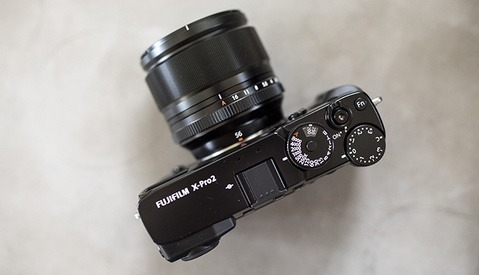 Today, mirrorless cameras seem to be the popular answer among many photographers. While many are happy with this path, not all experiences have been optimal, resulting in some photographers going back to DSLRs. I would say that mirrorless cameras are increasingly getting better at narrowing the gap of disadvantages between their counterparts. With either option, you will be able to create beautiful results, and in the end, the answer is user preference. Which type of camera system are you currently using and what are some of the key factors of you choosing that platform? While I really appreciate the promise of mirrorless cameras, and the newest crop of Sonys seem to deliver on most of them, I am sticking with my DSLRs for my work as they are paid for, make brilliant images, dead reliable with long battery life and are paid for. They are business tools. Did I mention they are paid for? Selling them and the catalog of lenses I own would incur a significant cash hit for, at the moment, scant advantage. My work is largely confined to architecture and commercial photography that does not meaningfully benefit from the mirrorless strengths of exposure evaluation via EVF (I use flash and am often tripod mounted and moving slowly), silence and slightly lighter weight. Were I a wedding photographer I would be on a new mirrorless system yesterday. I think you've definitely made the right choice for your situation! Im a wedding photographer. Im not moving to ml anytime soon. Love the long battery life in the d4s d4 combo and I absolutely love the ergonomics heft and feel when using it with a 70-200. I used a sony a7s2 lens for video and it did have a grip. The ergonomics is terrible. Battery life isnt great. I may move over to ml in the future if there is no choice but as I can assume it wont be for quite a few years. Very curious what nikon will bring with their ml, though I wont be getting it as never buy version 1 of anything. From what I have seen Sony (in the mkIII versions) have very good video and with a grip, excellent battery life. Were I coming in new to photography I would be seriously looking at them. Particularly if I shot weddings, events, and lifestyle type work. 12 hr weddings is precisely why I stopped doing them. The battery life on My 5DsR and my mkIV are quite a bit lower than previous models unfortunately. Nikon is much better in this regard. I started shooting weddings in 1980. I used a Minolta X-GM. Later was using Nikon F2 and 3s and Mamiya RB. Gear was completely un-ergonomc. Fortunately weddings were not the princess fantasies they are today. I was doing 12 hr weddings with 2 shooters up until 2013. Then I looked at the cost/ benefit ratio and realized it wasn't worth it in terms of money and health. I used Canon 1Ds and 5Ds and they are ergonomic but heavy. Particularly with a 70-200 zoom. Carrying two cameras and strobes take a toll no matter how ergonomic they are. Right now the Olympus EM-1 mk II with a 12-100 seems to be the camera I would choose for verstility and low mass in a 12 hr event. 20MP is more than enough for any of the wedding party's needs considering we made heroic images with 8MP. Hey do me a favor keep the past there. I dont core about older film cameras. Im not stuck in the past. I only look forward. For me the d4s/70-200 is fine. No complaints. 80/70-200 were never light and f3 with grip and f4/5 werent either. I had them too. I love the ergonomics the cameras have today. If nikon goes sony a7 body route, im out. I dont think they will. Theyll realize the a7 is a flawed design. Nikon makes the best ergonomics in camera imo. They read comments. I have a DSLR and some good lenses. I am not really seeing anything compelling in a mirrorless camera such that I would sell all of this gear and begin the process of acquiring new gear. I like the battery life on my D750. I have big hands and I have heard complaints about the comfort of holding some of the mirrorless cameras. To my understanding, the main advantage would be slightly less weight for hiking. Meh. My mirrorless set up is 1/3 the weight of my DSLR set up. And the tripod is half the weight of the tripod I use for the DSLR. Also, i shot 360 frames (jpg + RAW) tonight for slightly more than half the charge. And I'm 6'3" and am having no issues with the grip. Are the lenses going to be any difference in weight between a DSLR and Mirrorless full-frame camera? I would think that glass is glass, but maybe there is something that I don't know here. For reference, the Sony 24-105mm kit lens and the Nikon 24-120mm kit lens weigh almost the same. I can't see how this allows one tripod vs. another. Is there some other factor that would affect the tripod? I don't know that I could feel a 8% weight difference in carrying a camera/lens. But I have never held or shot with the Sony. I would never buy a Sony product, but I am assuming that a future Nikon mirrorless would have about the same weight advantage. For reference, my mirrorless camera is the Sony A6000, which weighs less than 500g body and lens (I'm running primes). I also own a D3. The A6000 is VERY good. OK, I just picked a mirrorless full-frame on B&H to compare to my camera. I am sure there is a lot of variation. You were comparing an APS-C camera and lenses to a FF DSLR with integrated grip and (I assume) similar lens types for relative weight?? That has nothing to do with mirrorless. The A6000/6300/6500 are all pretty much the same bodies, and in terms of quality and capability would be most appropriately compared to the D300 and D7200. The bulk of my point had to do with comparing the D3, specifically, to an APSC camera along with the fact comparable lenses for the different formats also contribute quite a bit to the weight disparity. You weren't comparing like with like. I have nothing against mirrorless cameras. There are lots of reasons to choose one or the other but weight isn't as big a factor as people think, depending of course on your lens selection. If you go back to my initial response, you will notice that I expressly used the word "my". However, what I said holds, as the weight of the X1D demonstrates. And as comparisons between the A6000 series and comparable APSC Nikon also demonstrates. Edit: I still shoot my D3; there is something to be said for a 8.46 micron pixel pitch. 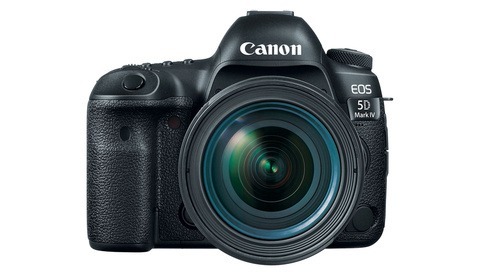 I don't want to belabor the point but I wouldn't compare the weight of the D300 with the much newer A6xxx series. I would think the newer cameras would use lighter materials. Maybe not. The D7200 makes more sense and the difference isn't a third. What lenses on the D3 are you comparing to what lenses on your A6000? And out of curiosity, what kind of photography are you using each for? And on the Sony I'm using the Sigma f/2.8 19mm, 30mm, and occasionally 60mm. My subject matter is primarily landscape/seascape, nature, and architectural. I guess I would also observe that I'm a hiker, and the stories about the ultralight weight hikers cutting the ends off their toothbrushes to save weight are not apocryphal. Grams do matter, and not as some abstract in the same way that photographers argue about gear on forums. Carrying less weight in gear leads to a much easier and more enjoyable experience. The shooting that I did a couple of nights ago involved walking long distances (probably around 15km all up) through the city and working very quickly. I'd done the same thing a week before with my DSLR, and the difference to my quality of experience was obvious. My only real criticism of the mirrorless is that I find it very difficult to use a polarising filter; however, I don't know whether that is unique to me, as I haven't heard anyone else say it. Actually, lighter cameras tend to need heavier tripods. That is, total weight of camera+tripod is a plus, not a negative. I'm pretty happy that 10s is enough time for any vibrations to stop. Well, on the day when your fairy godmother wakes up and touches you with her magic wand and everything goes your way, that works. On other days, maybe not. But professionals need to be ready for those days when their fairy godmothers sleep in. Yet another idiot who doesn't realise that the word "professional" is not a synonym for "excellence", rather it simply means 'runs a business'. And while I'm on the subject, photographoc professionals encompass more than just wedding and portrait hacks, who are heavily time constrained. However, my images are pin sharp. And do you know what, I'm more than capable of using my DSLR or my medium or large format kit if circumstances require. For example, I'm about to head for a hike in the mountains, and since it's a shortish day hike and I intend to take my time, I'll be shooting on medium format and using a 5kg tripod. You seem to think I rely upon luck, it's funny how I'm consistently 'lucky'. By "professional" I do mean "run a business" and, specifically, being prepared succeed when the universe doesn't behave the way I want it to...such as being prepared to turn out salable results whether there is a wind or not. Inferentially, you are utterly incapable of looking at a weather report and applying sound judgement. 1. You are dumping on me because I chose to use a lightweight Gitzo Mountaineer instead of bumping my ISO. 2. I did so because I was walking a fair distance through the city and working quickly. I had done the same a few days prior with my heavy kit, and my output was nowhere near as high, nor as high quality. Carrying heavy kit is tiring. 3. You assert that "professionals" use heavy tripods because of quality and consistenct of output. OK, let's just accept that. In 6 weeks I'll be mountaineering, and according to you, if I want quality results I should be carrying a heavy tripod. Sure, with the attendant risk of a) not making it up the mountain, b) potentially putting those with me at risk, and anyone who may have to rescue me, and c) being too tired to shoot, and if I can bring myself to shoot, certainly not having the surplus cognitive energy to be creative, or move around at all. Your position is manifestly absurd. Sorry, man, but you're doing all the childish "dumping." But you can have the last word.